I learned of the event back in September when it was originally scheduled for late Fall in New York but it was eventually postponed. The event will be in New York rather than in the Silicon Valley because New York is more centrally located for textbook and publishing. The announcement will be small in size but large in scope: a big announcement in a demure space. Steve Jobs was intinimately involved with this project before his passing. He gave a hat tip to the textbook side of this project in the Isaacson biography. 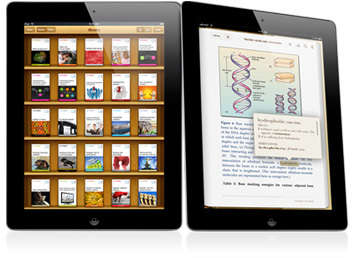 Text books definitely have remained untouched by the digital wave–could Apple and the iPad change that?